As I mentioned in this post, I am loving the sleeveless outerwear. I couldn’t resist buying pick #5, which happens to be this Blue Stand Collar Waistcoat aka a long vest. I love how it has a classic and sleek look to it. I pretty much can do a lot with this vest! You will probably see me style this multiple times haha! 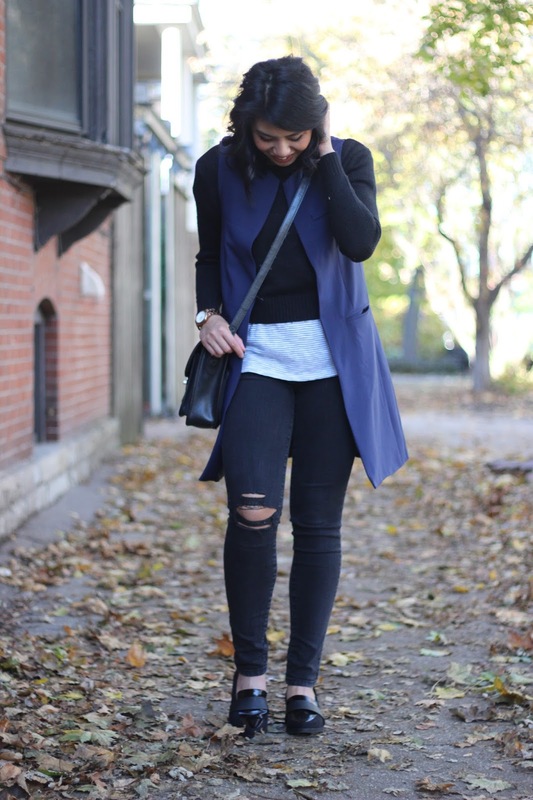 Over the weekend, I decided to use the vest as a layering piece. 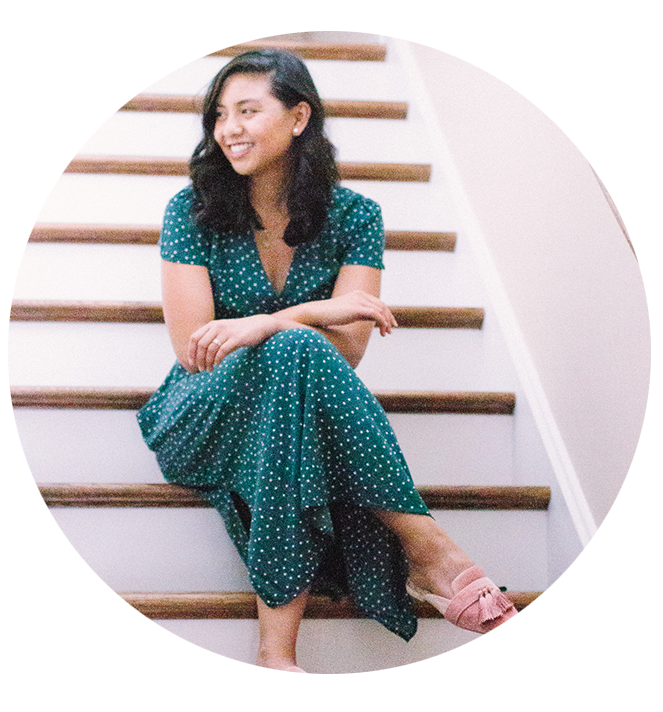 I initially wore the vest with Gap’s striped tee. But with the cool breeze, I layered this striped tee with a cropped sweater. By the way, if you are looking for a classic, black and white striped tee, I highly recommend this one. Not only is it classic and comfortable, but right now it is $10! I am now leaning towards getting more! 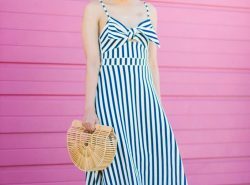 I am all about this trend! Loving this look! 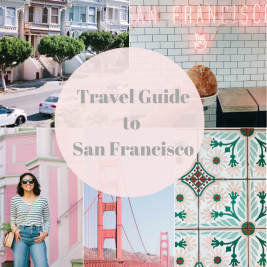 This is so chic! And with your shorter hair, it's such a trendy look! And I love those shoes (have 'em in burgundy)! Thanks so much Audrey! I'm loving the burgundy ones too! Your vest looks so great, especially with your other layers. Great dimension! 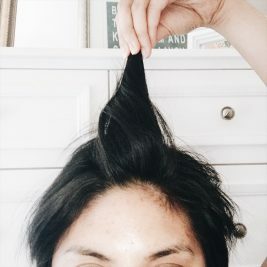 Your hair looks so cute! Thanks Vanessa!! And yes to pancit! 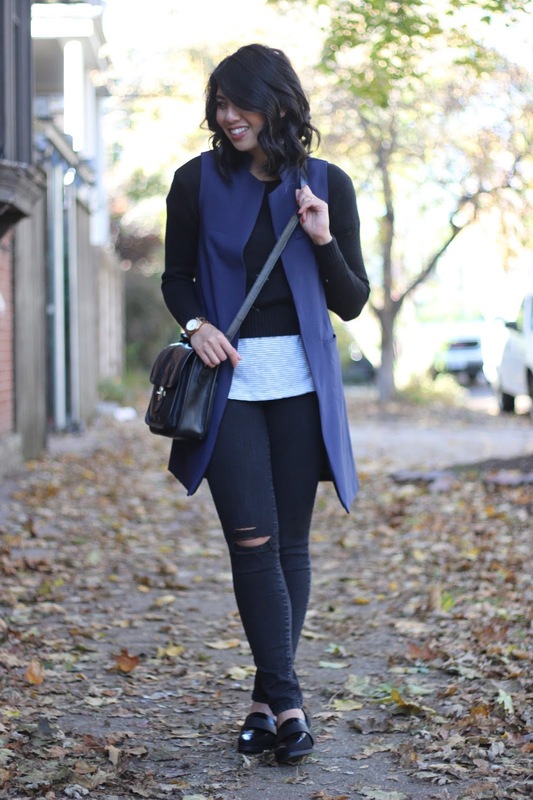 I love how you styled this vest for the perfect fall look. I am in love with this color pallet. You look so fantastic.. those shoes are so fantastic! 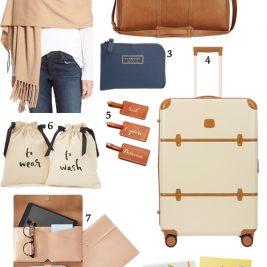 Love the way you styled this! I'm wearing a very similar pocketed vest today. And your hair looks awesome! Thanks Cheryl! I know, we are totally twinning! I love the different length and layers you have in this look! That vest is a great color!! You make me want to chop all my hair off again. My fiance would not be happy. (; Loving this look! Loafers are the absolute best! Haha!! Maybe your fiancé can be convinced if it is for a good cause! Thanks Kiki! Your hair is so pretty! Love it! You always do such a great job with layering! I'm loving this long best on you! I am obsessed with this look! Love the way you styled all the pieces together! beyond obsessed with this outfit! 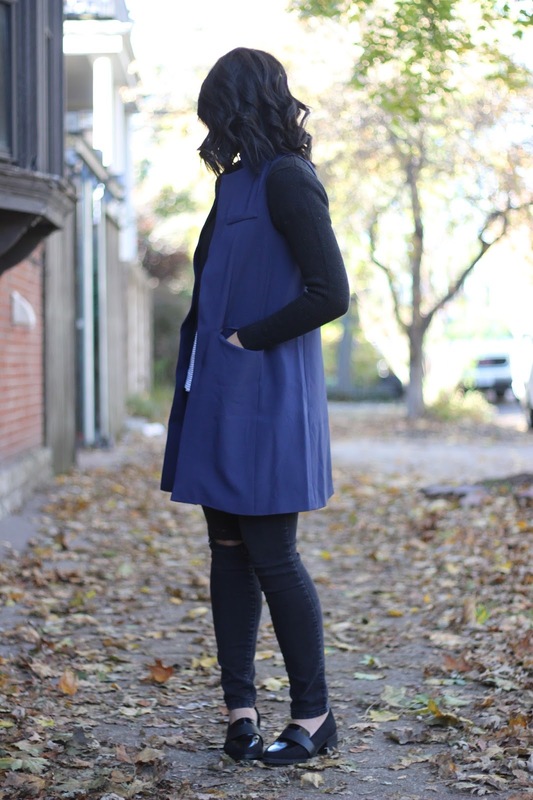 the vest is the perfect length and the flats are beyond perfect. what a great color of that vest! gorgeous. 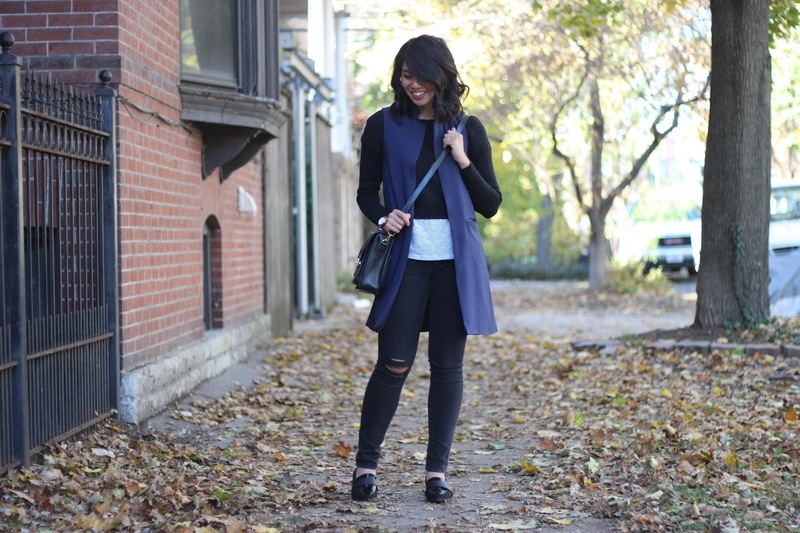 i never thought i would be a fan of long vests, but i'm totally sold this season! Very on trend with that sleeveless item! Great look. Thanks Nancy! Thanks for stopping by! Thanks Susan! Thanks for stopping by! 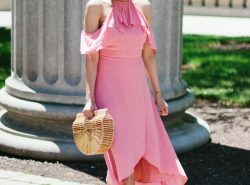 love your casual take on this trend! 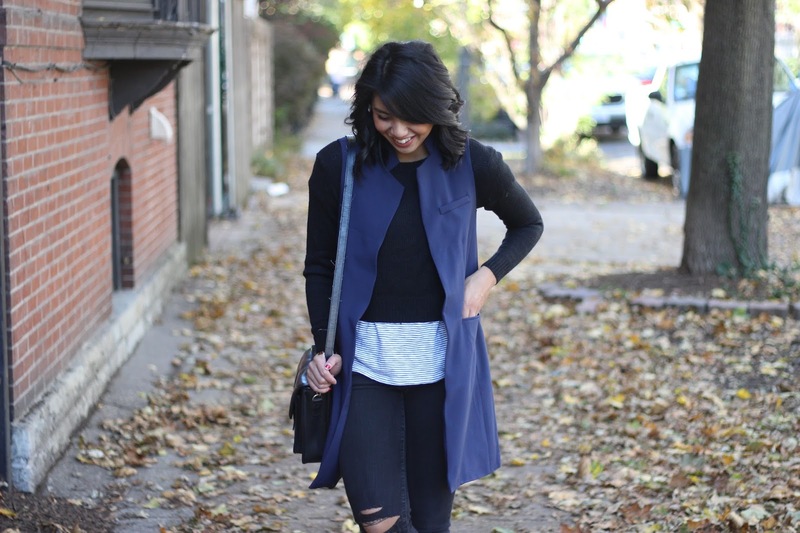 I actually wore a sleeveless vest the other day and it's such a chic layering piece! I've been on the hunt for a long vest!! LOVE this one! So chic! Thanks Chelsea! I love this vest, so if you're looking to purchase this one is perfect. The quality and price, you can't beat! Love, love, love this whole outfit! 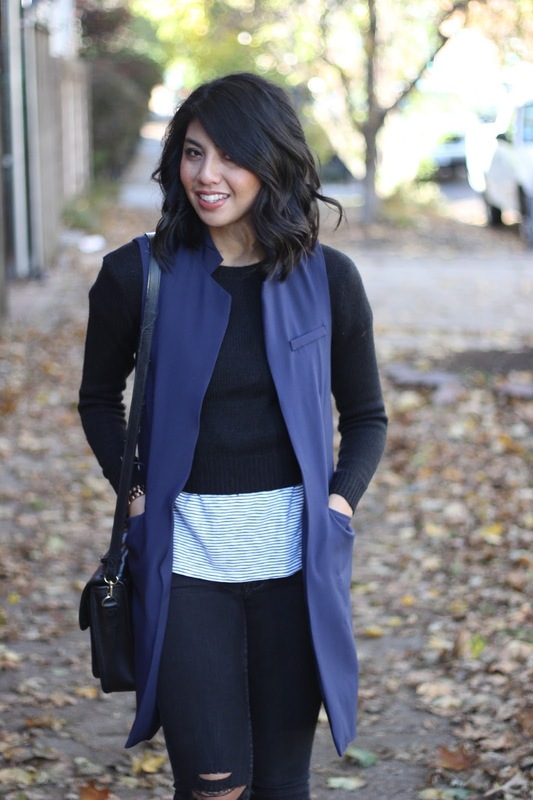 Love this look, lady- the light layers are so cool, and that vest is a winner! Thanks Samio! Thanks for stopping by! 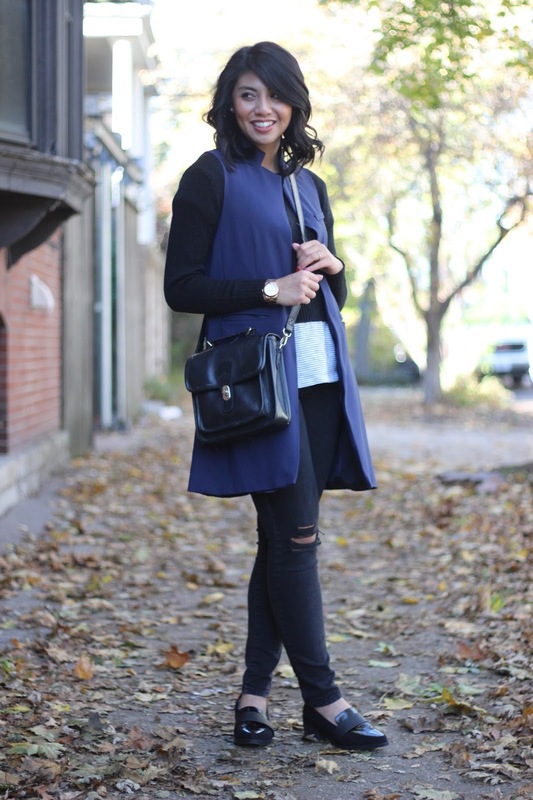 What a perfect vest for fall! I love how much the blue pops on camera! Thanks Christianne! Thanks for stopping by! me encanta tu look, sobre todo el jeans,besos. 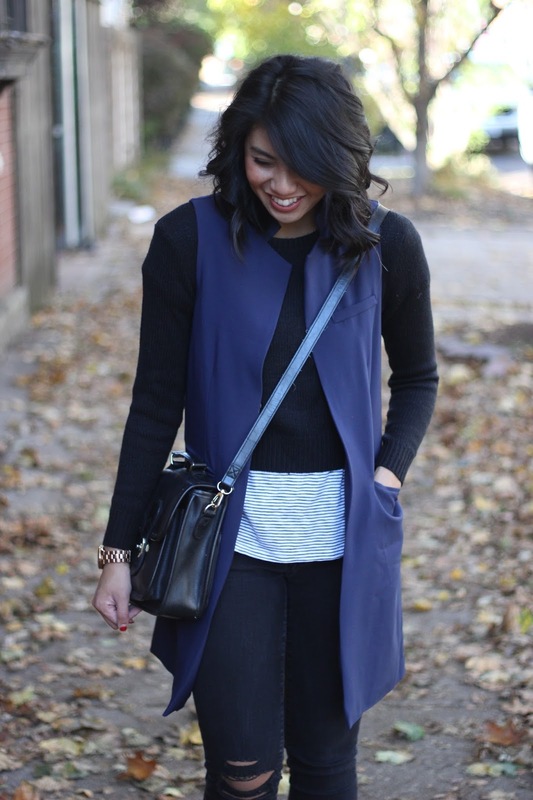 The vest looks great on you and seems to be the perfect length! The navy vest looks killer with the black and touch of stripes. 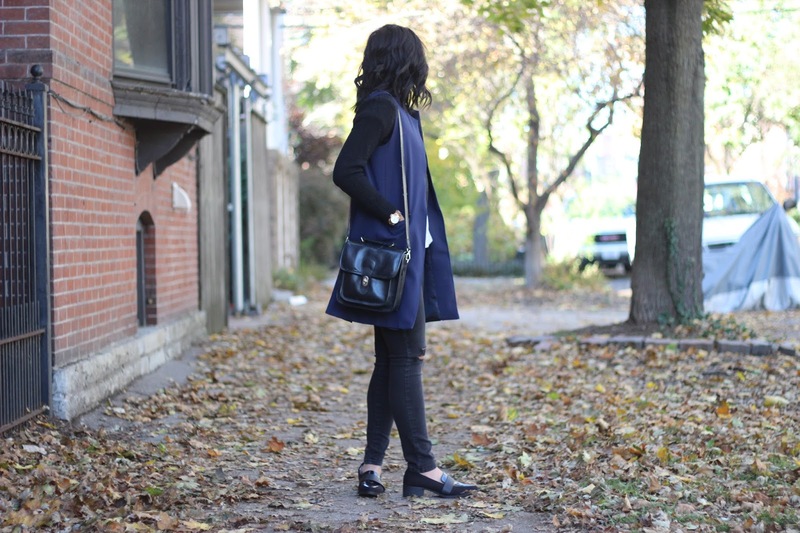 Perfect look for a fall day! 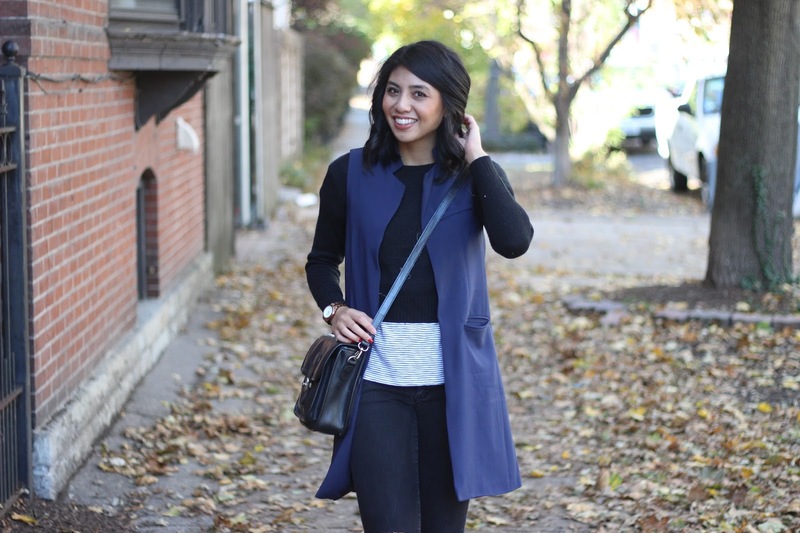 loving the vest – so pretty on you!